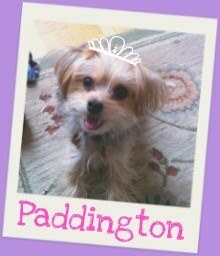 We're excited to announce that we've got a post from you from Christine of PawsandKisses.net! Make sure to check out her blog for adorable puppy pictures and great advice. A big thanks for all of her support, which means so much to the Barkistas. Going forward we hope to share with you content from other guest bloggers so stay tuned and enjoy! Whether you're taking your pup on a five mile hike or just going for your daily walk, a doggy backpack can be a great addition to your dog's wardrobe. 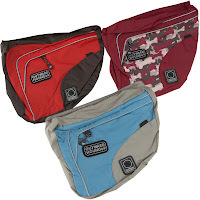 These are slung over a dog's back and have a zippered pocket on each side. You can use the backpack to store anything you want or your dog may need. Backpacks can be used day-to-day to tucker out a high-energy dog a little quicker by putting half-filled or full water bottles on eachs ide, because they have to "work" by hauling extra weight. When you don't have the time to exercise your dog until they finally bark, "No more! ", backpacks come in handy. We've used the backpack in this fashion on our 60 pound Labrador as well as a 35 pound Shiba Inu--definitely helped to calm down the Shiba Inu, which always had issues walking around the neighborhood, while our lab marched on like a trooper. We've gone "hiking" on several occasions with our lab in his backpack, and it's so nice to make him carry his own water! It fits nice and snugly, and he's always a happy camper with it on. Nary a complaint from him! There's also a d-ring on it, so you can attach your leash to it, but we found that attaching the leash to his collar was still better for us (better for redirection). There is a nice amount of padding that makes the backpack more comfortable for the dog, and I like the reflectors on it for safety (even though we usually use it during the day). Based on some other reviews we've seen, if you're going to really pack those pockets will several pounds, you may be better off with another brand. 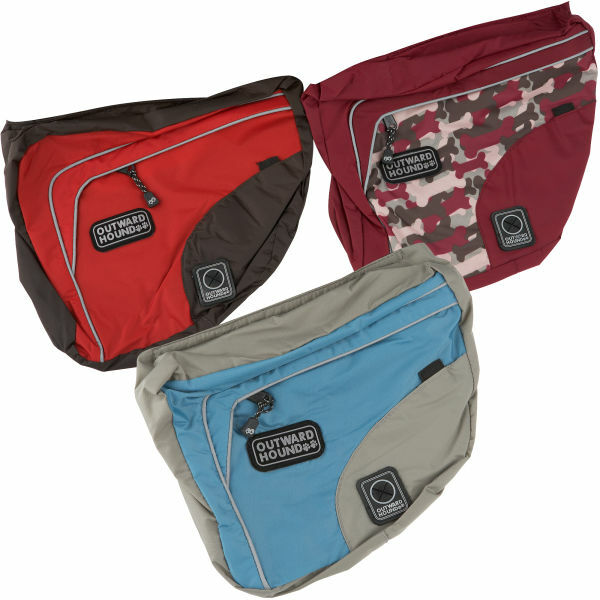 We've heard some exceptionally great things about Wolf Packs in particular ( http://wolfpacks.com/products/dogpacks/banzai.html), so if we ever pick up hiking as a regular thing, we might think about giving that a try, too. But for now, Outward Hound's Backpack hits all the right notes for us: affordable, easy to find, roomy, and fits Mellan just right.